The Retirement Café: Need Help with Your Social Security Claiming Decision? I don't think I can agree with your recommendation to "base claiming benefits on how long you guess you will live." I would guess that most people would guess wrong. And yet, using life expectancy as per the AARP site is not ideal either. 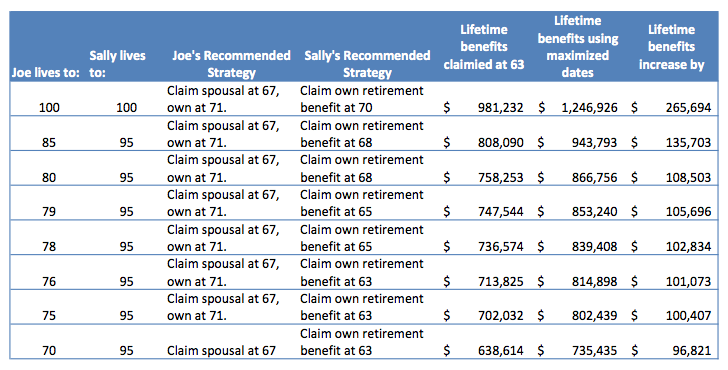 As you say, social security is longevity insurance in a sense, and as such, considering worst (really, best) cases for longevity is prudent. Perhaps it would be a nice feature (and yet even more complicated) to break it down into probabilities of living to various ages, the best claiming plan if one lives to that age, and the difference between the optimal plan for that age and the optimal plan overall/for the average life expectancy. I totally agree with you, Steve. As I originally said, recommending that is the last thing I would do. I modified the sentence to clarify. Let me be perfectly clear. 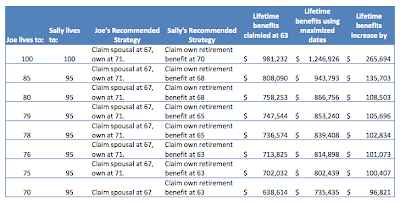 I recommend that you assume you will live to 95 or 100 when planning your retirement financing, and that includes claiming Social Security benefits, unless your doctor has told you to expect otherwise.